Book Reviews are now available for members of the society. Keep up to date with Lawrence scholarship via the Newsletter and this web access. Members can click here to view more. 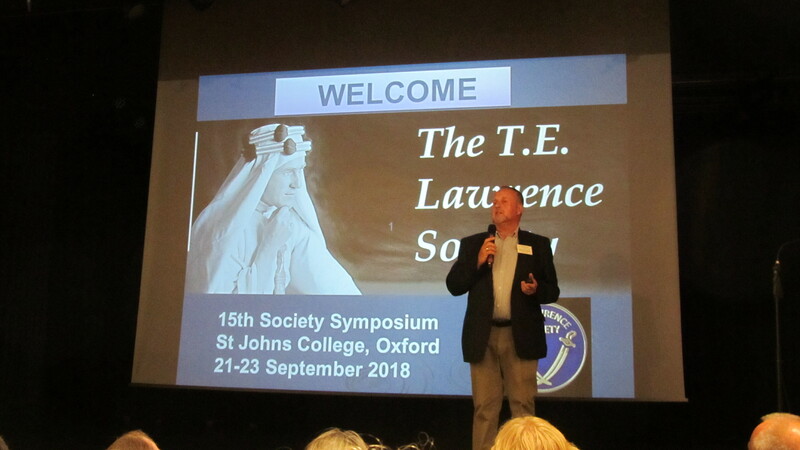 The symposium held in September 2018 at St Johns College, Oxford, was a resounding success with the largest attendance in the history of the Society. 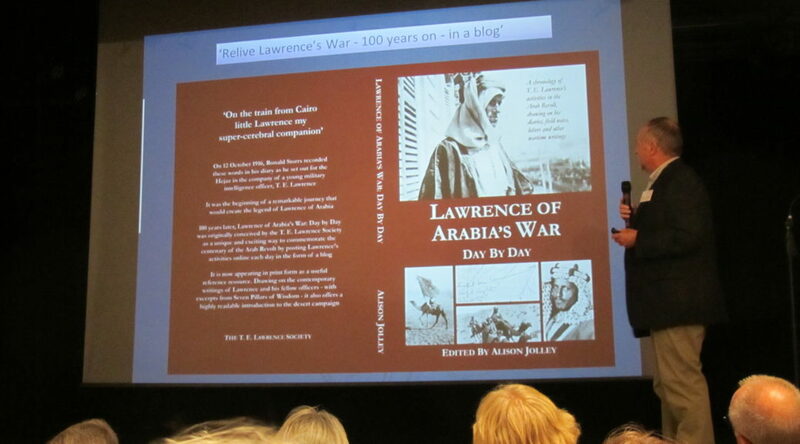 As ever, an exciting line up of international speakers, presented on a wide range of subjects, and these explored Lawrence’s forgotten service colleagues in the Arab Revolt, his friendship with Gertrude Bell, his honours and awards, and his war beyond the Arab Revolt, with lesser known activities in the Arab Bureau and other spheres of influence in the Middle East. 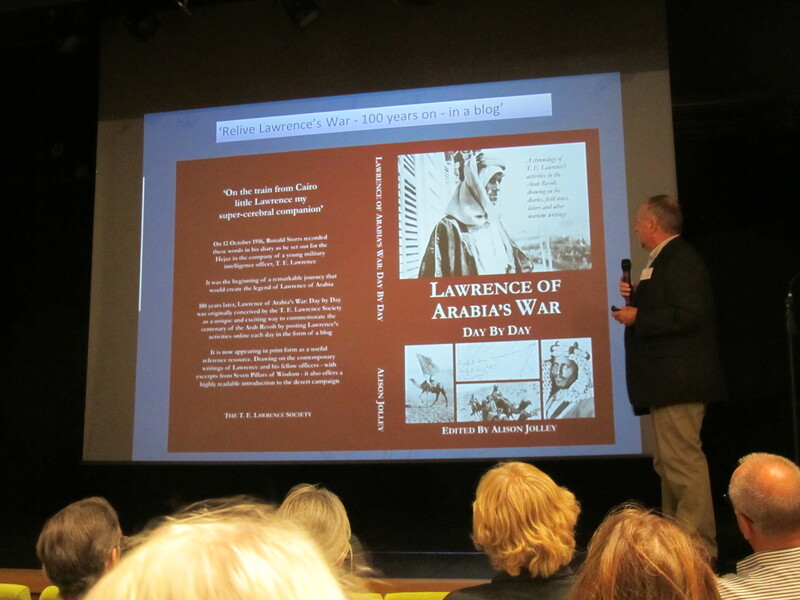 The support given by the ANZACs to Lawrence, the artists who painted Lawrence, Armoured car and RAF raids in the Hejaz, and a look at Lawrence’s role in the war from an Ottoman and German perspective, completed the presented papers programme. The focus on Gertrude Bell on the Friday was well received and the directors of ‘Letters from Baghdad’, presented some interesting insights into the making of the film, before we watched it. Members were also enthralled with the visit to Magdalen College to learn about the Lawrence archive rapidly being built up. A special exhibition was presented for us in the college Old Library. 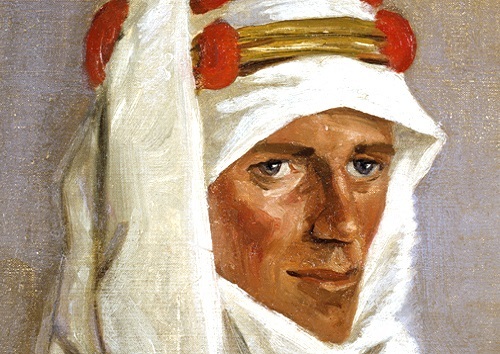 The official exhibition at Magdalen College, ‘Lawrence of Oxford’ has now opened and can be visited until May 2019. Currently the programme for the next symposium in September 2020 is being put together and some speakers have already been confirmed for another interesting event.